Jill Corleone is a registered dietitian and health coach who has been writing and lecturing on diet and health for more than 15 years. Her work has been featured on the Huffington Post, Diabetes Self-Management and in the book "Noninvasive Mechanical Ventilation," edited by John R. Bach, M.D. Corleone holds a Bachelor of Science in nutrition. Losing weight is big business. 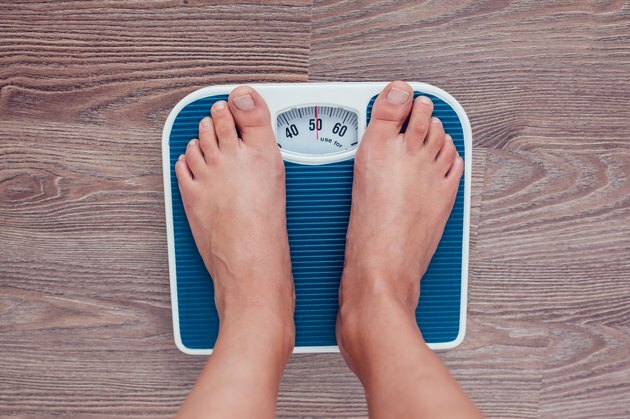 Americans have spent more than $60 billion looking for that perfect diet, shake or pill to help them shed pounds, according to HealthResearchFunds.org. But if you're on a budget, you're in luck because there are a number of free weight-loss plans. While you might want to lose weight fast, losing too quickly means you're losing water and muscle, not fat. A good free weight-loss plan helps you lose weight at a rate of 1 to 2 pounds a week while teaching you how to eat right for life. ChooseMyPlate.gov is a website created by the U.S. Department of Agriculture that offers a variety of tools aimed at helping you eat better. In addition to teaching you nutrition basics, the site also offers help with weight loss. The weight-loss plan uses a step-by-step approach, encouraging you to pay attention to your usual intake, then offering a multitude of tips -- from how to make better choices to portion control -- to help you along your weight loss journey. The site also offers daily food plans based on your specific calorie needs that includes the number of portions you need from each food group. The Dietary Approaches to Stop Hypertension, or DASH, diet is considered one of the healthiest diet plans, according to the 2010 Dietary Guidelines for Americans. The diet limits your intake of saturated fat and cholesterol and encourages you to eat foods rich in potassium, magnesium, calcium, protein and fiber, which include fruits, vegetables, low-fat or nonfat dairy foods, whole grains, fish, poultry, beans, nuts and seeds. The free plan includes a food guide that suggests how many servings of food you should have from each of the food groups. Although it was not designed as a weight-loss plan, the diet is filled with low-calorie, nutrient-rich foods that help you feel full when eating less. To lose weight with DASH, the National Heart, Lung and Blood Institute suggests you eat more fruits and vegetables, use fat-free dairy foods, cut calories using fat-free condiments such as salad dressing, and eat smaller portions. CaloriesCount.com is devoted to teaching you how to diet sensibly. The site includes meal plans, recipes, exercise tips and regular articles that offer advice on healthy weight loss. The site also features calorie-controlled weekly meal plans that include a shopping list to help make your diet easier to follow and manage. You can also use the site's online food diary to track your intake, as well as the food and exercise calorie calculator. The National Heart, Lung and Blood Institute offers a free diet plan based on the exchange diet, which groups foods together based on similarities in nutritional composition so foods can be exchanged within each group. The exchange diet was created for people with diabetes, but it is good for anyone trying to lose weight. The plan teaches you how to make healthy food choices, control calories and reduce portions. The diet includes meal patterns for a 1,200-calorie and 1,600-calorie diet, as well as plans for Southern cuisine and lacto-ovo vegetarians. In addition, the site allows you to print a daily food and activity diary to help you track your healthy habits.